In October 2018, the first of Marvel's Spider-Man's three DLC adventures, The Heist, will be released. You can purchase The Heist individually for $10 United States dollars, or get all three chapters together in The City That Never Sleeps bundle for $25. This art illustrating Spider-Man and Black Cat, comes from famed Marvel illustrator and suit designer Adi Granov. Beyond new story missions, there's a whole new faction of enemies, new crimes, new challenges, new trophies, and of course, three brand new suits. 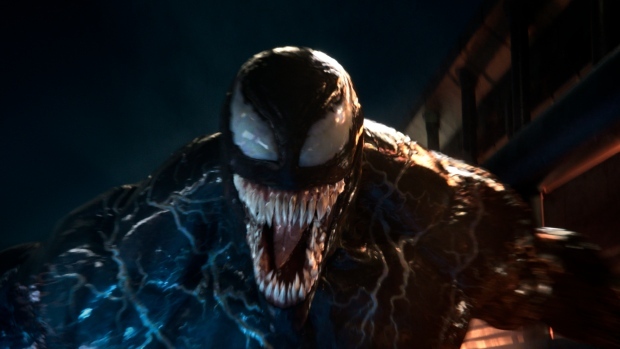 Domestically, Venom has already made just shy of $143 million, with an added $235.3 million from global territories - outperforming each one of the last three Spider-Man movies when comparing their second weekend box office returns! The shiny number in the middle is the all-new Resilient Suit, designed by popular Marvel artist Gabriele Dell'Otto. We loved bringing original suits to the game, starting with our Advanced Suit, and continuing with Adi Granov's Velocity Suit, and this is another great one. The other two are Spider-Man's Scarlet Spider II suit and his Spider-Verse Spider-UK suit. In addition, the first add-on, The Heist with Black Cat, has received a trailer and more details about the suits coming with it. For some reason, only the EU PS Blog mentions that tomorrow will see the release of a free 1.07 update for the game, which will add New Game Plus and an "Ultimate" difficulty level. It's even possible that Tom Holland's Spider-Man could crossover with the symbiotes in a future movie. Stickers can be used in Photo Mode after updating, and Friendly is "more friendly" after update 1.07 is applied. The update also adds two new trophies, one for finishing the game on Ultimate Difficulty, and another for finishing a NG+ run. One name that has cropped up rather predictably is Arsenal's soon-to-be-out-of-contract midfielder Aaron Ramsey. According to resources at ESPN FC, Manchester United and Chelsea are keen on signing the Welshman. Flu season is here, and the report of a child's death in Tampa has more people thinking about getting their annual vaccine. - The Maryland Department of Health confirms the first cases of the flu in the state for the 2018-2019 influenza season.